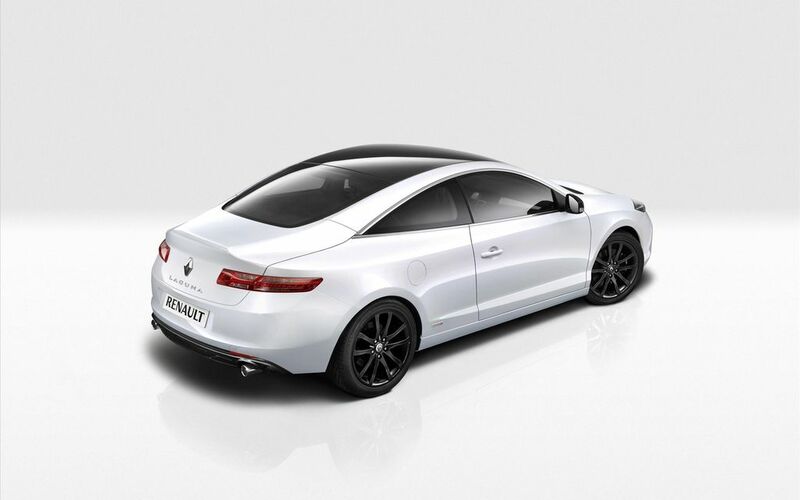 Following its unveiling at last month's Geneva Motor Show, the new Monaco GP limited edition version of Renault Laguna Coupé is due to hit the French market this month when it goes on display at the Coupé-Cabriolet & SUV Motor Show in Paris. The newcomer's fluid, elegant lines are emphasized by its stunning, sporty styling which features a black roof, black exterior mirror housings and 'black shadow' wheels which contrast with the car's striking pearlescent white finish. Renault Laguna Coupé Monaco GP's performance credentials match its looks, too, thanks to its exclusive 4Control chassis with four-wheel steering which is standard equipment, as well as a range of particularly efficient powerplants. Its equipment specification places the accent on motoring enjoyment and travelling comfort with an exciting package of hi-tech, safety and comfort refinements. 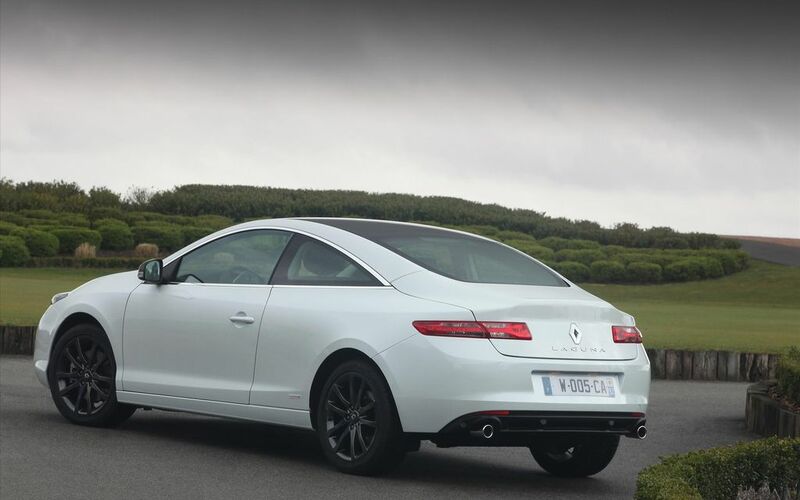 Designed and manufactured in France, Renault Laguna Coupé Monaco GP ranks among the best cars in its class for quality and stands out as a flagship for Renault's highend range. Two years after the first public appearance of Laguna Coupé round Monaco's legendary race track, this limited edition version – the run of which is restricted to just 400 units – celebrates the long-standing partnership that exists between the brand and the Automobile Club de Monaco. 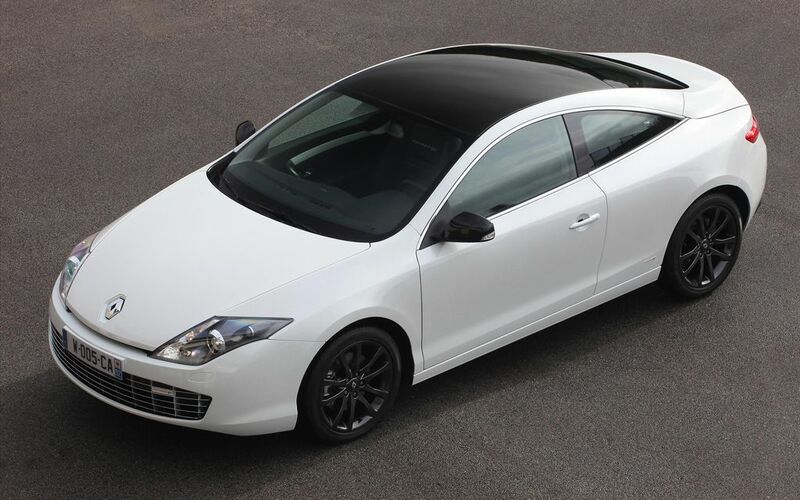 Renault Laguna Coupé Monaco GP will be available at Renault dealers in June, with prices starting from €38,800. Order books open early-Mai. 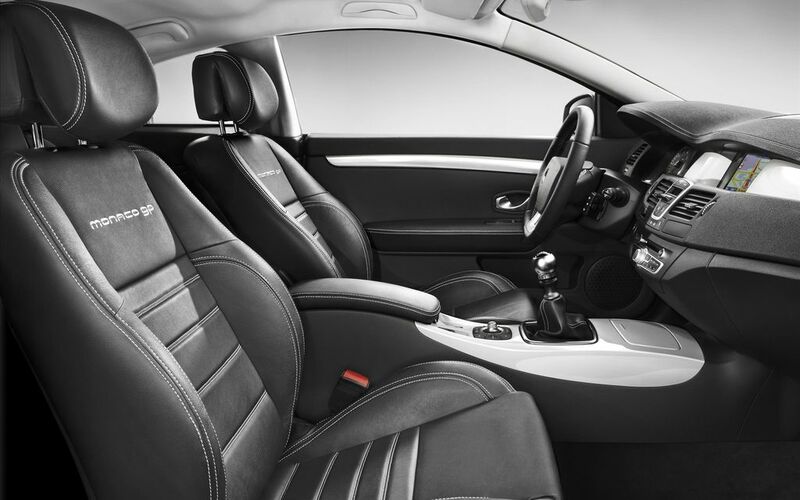 • Dark charcoal leather upholstery* with embroidered 'Monaco GP' badging on seatbacks, pearlescent white interior trim details, visible stitching on the upholstery, GT steering wheel, dashboard, door trims and carpet mats. • 'Monaco GP'-badging on the body sides and grille, plus a special 'Monaco GP' start-up display for the Carminat TomTom® navigation system. • Tailor-engineered BOSE® audio with 10 loudspeakers, a digital amplifier and Plug & Music connectivity (USB and 3.5mm jack). Renault hands-free card and three-mode dual-zone automatic climate control). • Advanced active and passive safety (ESC, ABS, emergency brake assist with pre-fill function when emergency braking is detected, Isofix child seat anchorage for rear seats and six airbags, including dual-chamber/dual-pressure front thorax/groin airbags with twin side impact sensor). • Available with a choice of four DPF-equipped diesel powertrains (dCi 150 with either sixspeed manual or automatic transmission, dCi 180 with six-speed manual gearbox or 3.0 V6 dCi 235 with six-speed automatic transmission) and one petrol engine (3.5 V6 240 with six-speed automatic transmission). Its 4Control chassis with four-wheel steering delivers exclusive driving pleasure, plus outstanding handling and active safety performance. Thanks to its inbuilt strength and the results of different surveys that have been carried out over the past two years and more, Renault Laguna has earned a TOP3 ranking for quality in its segment in Europe. Efficient, affordable, safe and modern, the Laguna range stands out through the availability of its innovative 4Control chassis, an exclusive feature for the model's segment. Renault Laguna Coupé, which has emerged as the uncontested leader in its class in France thanks to the unfettered motoring enjoyment it delivers, celebrates the second anniversary of its first public appearance round Monaco's famous Grand Prix circuit in May 2008 with the release of an exclusive Monaco GP limited edition version. 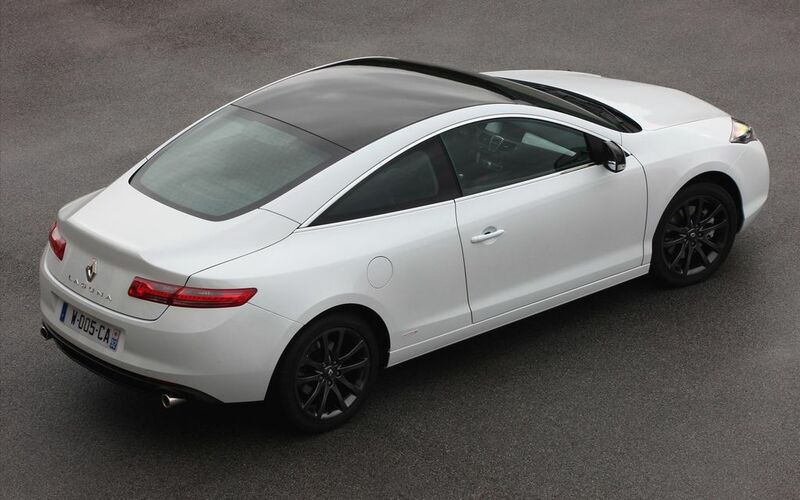 In addition to the elegant, uncluttered lines of this high-end coupé's exterior, Laguna Coupé's performance package also ensures unprecedented yet reassuring driving thrills. The flowing, uncluttered lines of Renault Laguna Coupé Monaco GP's elegant design express timeless beauty and sheer motoring enjoyment. There is no mistaking the legacy it has inherited from the Fluence concept car, nor its kinship with the show car originally revealed at the Frankfurt Motor Show in September 2007. Indeed, it shares the same basic colour scheme and class of the latter, with a pearlescent white body and interior trim details, exclusive 18-inch shadow black Interlagos aluminium alloy wheels, black exterior mirror housings, and visible grey stitching on the upholstery, dashboard, GT steering wheel and doors. Specific 'Monaco GP' badging can be seen on the body sides and grille, while the dark charcoal leather upholstery* also features embroidered 'Monaco GP' motifs. With a length of 4.64 metres and a width of 1.83 metres, its proportions are nicely balanced and immediately position it as a genuine sporting coupé. Seen from the side, Renault Laguna Coupé's assertive, poised stance clearly suggests forward movement, and the car has all the hallmarks of a highend model, including dynamic looks, natural elegance and distinctive styling. An original and exclusive feature of this limited edition version is its black roof which contributes to the fluidity of the lines that extend from its racy front end to its muscular haunches. Laguna Coupé Monaco GP in association with a wide choice of engines. This groundbreaking innovation attracts customers who seek to benefit from the advantages of four-wheel steering. The nimble handling provided by the 4Control chassis both in built-up areas and on twisty roads out of town is worthy of that of a small city car (it has the same turning circle as a Clio). At the same time, the system guarantees exceptional stability, plus the road holding ability of a sporting car, not to mention unrivalled safety, e.g. when taking avoiding action or when braking in difficult conditions (asymmetric grip on slippery surfaces, optimized ESC calibration). To ensure the highest standard of driving pleasure, Renault Laguna Coupé Monaco GP packs the very best technology to deliver an extremely efficient ride in complete peace of mind, with precise, reassuring cornering and perfect cornering lines, however much grip is available and in all types of traffic, on circuits and in built-up areas alike. Renault Laguna Coupé Monaco GP is a concentrate of manoeuvrability, dynamism and steering precision. - The affordable and economical dCi 150 (110kW) is acclaimed for its dynamic performance. Mated to the six-speed manual gearbox, it returns appreciably low combined cycle fuel consumption of just 5.7 litres/100km (equivalent to CO2 emissions of 149g/km). Versions with six-speed automatic transmission combine punch and response, yet remain very affordable. - The sportier, more powerful and torquier dCi 180 (131kW) powerplant stands out as a surprisingly attractive compromise for its class. With 400Nm of torque available from as low as 2,000rpm, it accelerates crisply and smoothly, and contributes to the impeccable directional stability of the 4Control chassis. Even so, its combined cycle fuel consumption remains contained at 6.2 litres/100km (163g of CO2/km). - The top end of the range naturally features the 3.0 V6 dCi 235 which drives through a six-speed automatic transmission. This three-litre block (2,993cc) stands out as a benchmark in terms of its dynamic performance, driving pleasure and silent ride. Peak power is 235hp (173kW), while maximum torque stands at 450Nm. Thanks to these vital statistics, Renault Laguna Coupé V6 dCi 235 accelerates from standstill to 100kph in 7.3 seconds, yet its combined cycle fuel consumption does not exceed 7.2 litres/100km (189g of CO2/km). Special attention has been paid, too, to its acoustic performance: in addition to its silence at normal speeds, a perceptible bark when accelerating and during transient phases irresistibly suggests performance. - The 240-horsepower (175kW) 3.5 V6 petrol engine delivers maximum torque of 330Nm at 4,400rpm. metre standing start in 27.6 seconds. Although an ideal match for Renault Laguna Coupé's dynamic credentials, its combined cycle fuel consumption is just 9.9 litres/100km (230g of CO2/km). - Carminat TomTom®: undoubtedly the best sat-nav system currently available on the market in terms of its performance and price. High-end Renaults equipped with the system come with a joystick control on the centre console, while Renault Laguna Coupé Monaco GP features a specific 'Monaco GP' startup screen display. Carminat TomTom® combines the expertise acquired by the pioneer of in-car navigation through the development of integrated Carminat systems for more than 25 years with the savoir-faire of leading navigation specialist TomTom® (portable devices, automotive and cell phone applications). Simple to use and ready to run as soon as the vehicle starts, it packs all the functions expected of an advanced navigation system, including precise, detailed maps displayed on a large screen (14.7cm/5.8 inches), as well as realistic views of traffic lanes (Advanced Lane Guidance), traffic information and suggested alternative itineraries in case of congestion (IQ Routes®, which computes alternative routes using statistical patterns based on data provided by other road users), fixed speed camera location warnings (depending on local legislation), speed restrictions, numerous points of interest and a wide range of customization options. Thanks to the 2GB SD card and free TomTom Home software, owners can easily upgrade and update their TomTom® system via their computer at home, add favourite addresses or plan journeys. For a particularly low price, the system enables them to benefit from an advanced and comprehensive integrated navigation system which is easy to use and which offers plenty of scope for personalization. - Renault Laguna Coupé Monaco GP is naturally available with a high-end audio system guaranteed to delight connoisseurs and designed to bring music lovers a unique hi-fi listening experience while on the move. Engineers from Bose® work hand-in-hand with Renault's own engineers from the very beginning of the design process to conceive complete, bespoke audio systems which match the individual acoustic properties of each model's cabin for an unforgettably balanced sound. The Bose® Sound System comprises 10 loudspeakers equipped with neodymium magnets (one mid/high-range speaker located at the centre of the dashboard, four tweeters, four wide-band loudspeakers and a 23cm woofer built into the rear parcel shelf), an amplifier incorporating a Bose® digital signal processing system and a six-channel personalised equalizer. This set-up delivers crystal clear, distortion-free music and a high level of power. For quality radio reception, the system employs a dual aerial, while Renault Laguna Coupé offers full connectivity thanks to the Plug & Music terminal which includes USB and 3.5mm jack sockets. Bluetooth® telephony and audio streaming are also available, as is MP3/WMA CD compatibility. - Safety: six airbags, including dual-chamber/dual-pressure thorax/groin airbags with twin side impact sensors, plus Isofix® child seat anchorage for outer rear seats. Ever since its launch in October 2007, Renault Laguna has had plenty of opportunities to showcase the fruits of its inherent strength and rigorous production. The results of successive customer surveys reported by the media underpin the model's quality and reliability, and Renault Laguna benefits from a TOP3 ranking for product and service quality. These results are the consequence of a company-wide commitment and back up the findings that Renault's own in-house surveys have been indicating for some time already. 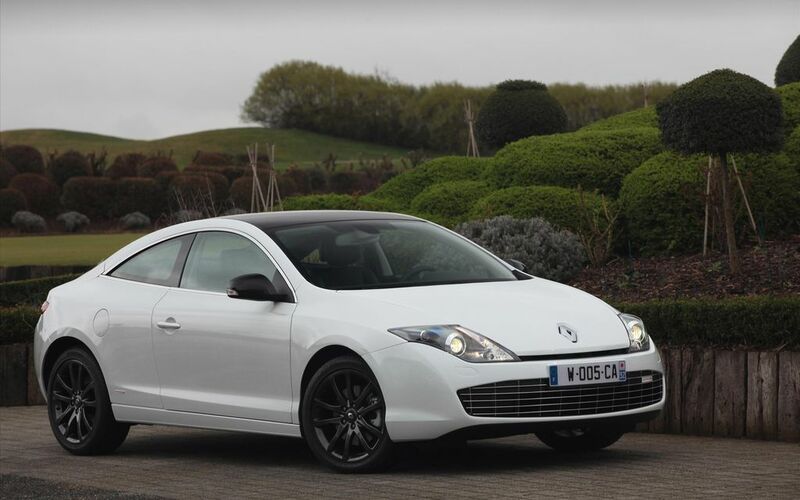 The three-year or 150,000km warranty (whichever threshold is reached first) is yet another argument that is sure to appeal to the customers that Renault Laguna Coupé Monaco GP targets.